For a state to succeed, its people must have trust in its institutions. The development of legitimate state institutions at both national and subnational levels is critical, but often leaders of fragile states and international donors lack information about what the public want from those institutions. 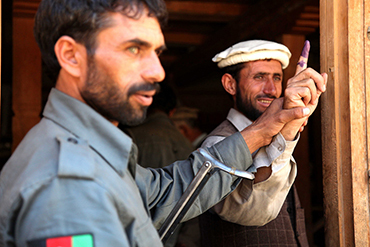 This project hopes to shed light on the key components of public legitimacy by conducting fieldwork in Afghanistan, a state where the public institutions’ lack of legitimacy is undermining the ability of the state to govern effectively. The project uses a series of survey experiments to measure how incidences of corruption and insecurity impact on public trust in government institutions, both at local and central levels. The survey experiments will also measure citizens’ leadership preferences, and their willingness to exercise an ‘exit’ option, through migration. By shedding light on public preferences, the research will contribute to an important debate about the effects of corruption and insecurity on public legitimacy, and will provide policy-makers with rigorous evidence. This will help support better leadership, develop strategies to address migration issues, and prioritise aid expenditure more effectively and efficiently.